Canada's chief NAFTA negotiator Steve Verheul speaks to the media as he leaves for the lunch break at the sixth round of the North American Free Trade Agreement Thursday in Montreal. 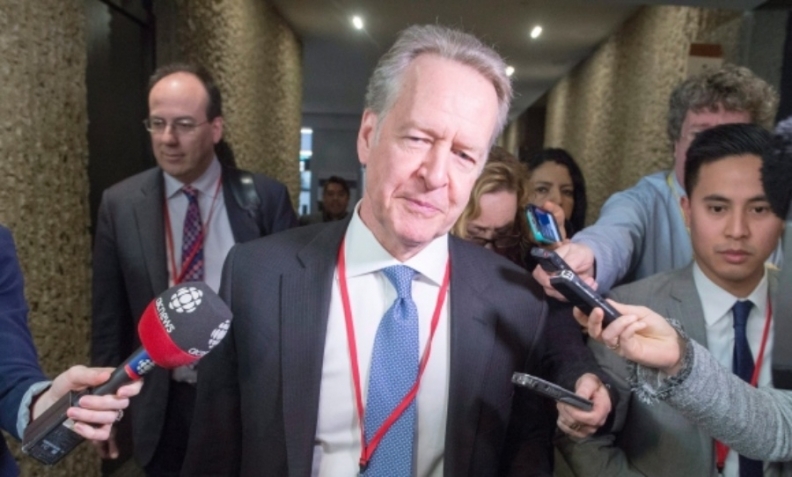 OTTAWA — Canada's chief NAFTA negotiator says only limited progress has been made in revamping the continental trade pact. Steve Verheul says that's because the talks are moving "a bit too fast." The seventh round of NAFTA talks is set to begin later this month in Mexico City with substantial differences remaining on autos, a sunset clause and an investor-dispute-resolution mechanism, and U.S. demands for greater market access to Canada's protected dairy industry. The NAFTA renegotiation survived its sixth round of talks in Montreal, with U.S. trade czar Robert Lighthizer saying enough progress was made to push forward despite American dissatisfaction with some Canadian proposals. Lighthizer also called Canada's wide-ranging complaint to the World Trade Organization a "massive attack" against U.S. trading practices. However, Canada had concerns of its own with what the American negotiators were putting on the table, Verheul said — notably a Buy American component that would limit how many public contracts can be won by its free-trade neighbours. The U.S. has proposed limiting Canada and Mexico to one dollar of contracts for every dollar in contracts granted by Canada and Mexico to American companies, an idea Canada and Mexico alike have branded a non-starter. The Buy American proposal may well be the worst ever put forth in a trade negotiation, said Verheul, who noted that U.S. negotiators seem to be hamstrung at the table by White House expectations. He also said the worst possible outcome would be for the United States to go it alone — a scenario that Verheul warned would weaken North America, allowing other countries and regions to take easy advantage. Canada will stay at the negotiating table for as long as it takes, Verheul said. But it's impossible to predict the next move of a notoriously unpredictable president, he warned — a move that could include a NAFTA pullout. Earlier this week, U.S. President Donald Trump complained about Canadian trade practices and threatened an undefined international tax, reviving fears of new American import penalties — a fear the White House has since played down.